So I thought to create a thread where you could discuss what the best individual leg was that we saw on TAR! 1. Almost every leg in TAR3, and in particular, Legs 3, 8, 9 and 12. 2. TAR6 had some brilliant ones! The Sweden, Ethiopia and Xi'an legs in particular! 3. TAR7 Leg 3 is an obvious choice! I also loved the England leg! 4. Thailand on TAR9 was an epic leg!!! 5. TAR12 has a lot of noteable ones: Legs 3, 4, 5, 6, 7, 9, 10 and 11 are my personal favourites, especially 6 and 7! In fact, the whole race was flawless, except Leg 8. 6. TAR13 Legs 6 and 7! 7. TAR16 Legs 6 and 7 are two of the best legs with heaps of drama ever on TAR! Even though I did not like TAR16 at all, those two legs stood out! 8. TAR18 had some really incredible ones! Hard to choose there! Feel free to share any of the legs which you really loved!! Personally, the St-Petersbourg legs in TAR17 (legs 6 & 7) were epic & beautiful. It showed every aspect of the race, from classical music to locals, from a sightseeing tour of the city to lots of penalties. Can I just say it's IMPOSSIBLE to pick the BEST Amazing Race leg? There are so many why do I bother. in french class in high school i was fascinated by Burkina for some reason so when the race went there i was truly amazed and excited! This leg had a really challenging roadblock in camel milking (do i even have to say the quote? ), a unique kind of limiting detour which i like and found interesting (youre going to have to get in the classroom with the kids either way), a 5 team foot race to the finish and that general sense of literally being in the middle of nowhere from the moment they got off that train and ran off into the plains. It also knocked frontrunners Lorena and Jason down a few pegs but also sadly lead to their demise in the next leg. This leg had a pretty stunning detour: ride an insane looking bike downhill on what looked like cobbled streets or go for a walk around town with your very own marching band! i remember teams going at terrifying speeds on those excuses for bikes and kelly and christy crashing! more than once! yet still getting back on the bikes. and i loved the marching band, the sheer chaos when marisa and brooke (who owned this challenge) passed dan and andrew, i had their tune stuck in my head for weeks afterwards. and all the time teams were hustling under the ever present threat of the u turn! (even if it went unused) This roadblock, in my opinion, would have been dramatically easier had it not been for the altitude! that really shook things up, especially for poor mark and bill (i read in one of their interviews that they got into better shape after the race, they should have been on unfinished business!! unless they had a falling out or something, they could have easily replaced zev and justin or mel and mike) i guess the only downside to this episode was their untimely elimination. I loved this leg, probably because of how challenging it was (well nick and starr cruised through it in first place but i do remember them complaining about how trying it was). The Russian riddle roadblock intrigued me to the point that earlier last year i actually bought a copy of the master and margarita (curse the race's product placement!!) i recall Andrew's russian friend getting really into it and infamously Dallas losing his passport! (another unfulfilled unfinished business candidate) Next was Andrew and Dan's dancing speedbump, probably my favourite speedbump to date, i loved the music, and the fact that they had to do it twice! that probably makes it one of the more difficult speedbumps (but let's remember, theyre not all that hard ><) and then the hectic public transportation scavenger hunt detour, the utter confusion! the need to get on/off so many times it was fantastic. and then aside from toni and dallas (who tried to walk everywhere/beg their way through the rest of the race, valiant effort ^^) 's on the course elimination, there was Dandrew's 2nd place and highest finish! i was a bit of a dandrew fan... i always found tar13 to be a lot more interesting if you looked at which team came second on each leg rather than first, it gives a lot more variety. oh and i almost forgot, the red october, awesome! Riding that tiny little boat out on that lake with the chinese fishing bird, Jaime and Cara's dance detour, the three teams doing the calligraphy detour and racing neck and neck to the pit stop, kisha and jen's long awaited first place! margie blowing up at kisha and jen after their leg long feud, the torturous foot massage! (luke insisting that he do it instead of margie (as i remember) haha im sure he regretted that), the hellish swimming task for the sisters and gruelling for any team, even just the name of that detour sync or swim (some kind of double pun!! ), jaime and cara's long awaited first place! only to have it snatched away from them by the surprise return of the super leg!! teams wandering for hours searching for that u turn, kisha and jen's chinese phrases! teams running around in their opera costumes and the race to the final three determined by an ill timed toilet break. indeed, what an epic few legs that asked us all the question, would you wet yourself on national (international even) television for $1000000? by this leg i think i was starting to doubt season 15, and when teams got to a roadblock calling for strong legs and keen eyes i thought i had it all figured out that teams would just have to climb the tower and spot a flag somewhere in the city. i was gladly wrong. the bell counting task turned out to be one tough roadblock! i can only imagine the physical exhaustion from those stairs, trying to keep track of how many bells youve counted and then to have the bells ringing! crazy! and for some reason i was endeared to the charismatic yet mysterious bell player, what an awesome clue giver! the detour was also pretty amazing (i think its clear by now that i love a good dance task) and the golfing was tough enough to drop the formidable meghan and cheyne down to second place. poor maria and tiffany! i think their onscreen counter got up to about 70 for that high ringer, and that wind in the golf, they really did give it their all and it was a shame to see their efforts go unrewarded. I sometimes thing of this leg as the nightmare leg, based on the tasks and i guess the fact it was at night time. those ringing phones, the ominous voice repeating just one letter, the bureaucrats and their redundant question forms, i didnt know who kafka was in depth before this leg but i was inspired to find out! one of the reasons i love the race, it expands your mind. Brian and Ericka's speed bump was interesting at least, imagine if they had to drink more or if they got more than a little tipsy haha i think the detour really brought the nightmare though, drag a giant muddy golem through the streets or carry a tray of glasses through a street of drunks, neither seemed like a mean feat. one of the best things i guess for me was the demise of the globe trotters though ^^ i mean, who saw that coming? i dont think everyone would have seen this leg as so spectacular but it had a few little perks that got me hooked. the surprise return of the intersection! (with 8 teams even!) that beautiful view of hamburg at night from the crane. playing soccer in europe (ive done this!) having to eat so much sauerkraut before the song ended, caite's soccer woes yet her team still being one sided for that challenge (she was the one side) an entire 180 flip and the team being entirely one sided for brent when it came to the boot of beer, the beatles! The insane detour! that room full of pianos sounded maddening yet i wanted to be there! and that dark room with the propaganda film playing and the mountain of film! the circus detour! spinning plates or learning to play the accordion! the russian mystery! going to all of those beautiful towers, bridges, churches, and then the dramatic russian gorodki race before the finish! loved it. riding yaks on that beautiful mountain, the zodiac roadblock! if only those strings had all been the same length it would have been epic! Kent and Vyxsin falling hours behind and yet catching up to Zev and Justin (almost). The basketball game, the fear that the goths were coming hahaha. The lead up to the double u turn was amazing, one of my favourite scenes, this may sound strange so ill explain why. the 3 frontrunning teams all get lost even though Christina speaks chinese, the middle pack are searching like mad for the u turn, margie and luke pass, jet and cord pass, the cowboys tell the goths and the cheerleaders where it is and so they go off on a foot race for the u turn. vyxsin just beats out cara and the goths who thinking they were in about 7th or 8th place are actually in 3rd but feeling they are at the back of the pack u turn jaime and cara in front of them! jaime and cara then u turn the globe trotters, the only team they believe are behind them. the whole time theres a sickly sunrise that just completes the scene. what i really love is how jaime and cara handle being u turned with such grace, they just keep moving forward. this is well contrasted with the globe trotters who really lay into the cheerleaders later on. AR7 finale - Rob/Amber vs. Ron/Kelly and Uchenna/Joyce; this leg started with very difficult tasks (since they had no money) in Jamaica for Uchenna/Joycce, continued to a draw before the HOO in Puerto Rico and climaxed at the San Juan International Airport with the "pull back the plane" decision by the pilot. On the Miami end Rob/Amber ran into the language barrier searching for El Rey dos Habaneros in Little Havana and a penniless Uchenna and Joyce begged their way to victory. This was drama at its finest! Season 5, Legs 12 & 13 (The finale): Going from island to island in the Philippines was fantastic. Between the flags, the clam shells, and the ascender, there was so much tension and drama between the teams, you never knew who was going home and who would win. Then came the final leg, with every team on even footing into Canada. The mountain climb and the detour between the bikes and luge were all great tasks. Then the flight to the final destination city: Dallas, Texas. Though navigating the maze was the only task after the flight, it was a good one - one of the best final tasks, in my opinion. And the winners were so satisfying, too. Satisfying at the time, I mean. After reading interviews and rewatching it, I like Colin & Christie more than Chip and Kim. They should have won, they were a better team! Or maybe I just like it because it's the closest the Amazing Race has been to where I live. There are too many to describe, but here's a shortlist (noting that this asked for best 'leg' and not best 'episode' because some crappy legs have led to great episodes - the TAR 17 finale, for instance). TAR 7: Ray and Deana eliminated. Brian and Greg's car accident, coming from behind and beating Ray and Deana in a footrace?? TAR 9: 3 WAY FOOT RACE TO THE PIT-STOP, BJ AND TYLER NEL. Another grandest display of karma. TAR 10: BQ's NEL. Yielding Bamas and still checking in last, grandest display of karma. Actually TAR 10 had a lot of epic moments, like the Chos letting David and Mary go for the FF, Lyns VS Edwin and Godwin to the pitstop, Lyns nearly winning the leg even with the Yield, Rob and Kimberly VS the tomatoes, BQs beating Tyler and James and Rob and Kim who took the FF??? -_- and loads more! TAR 11: Rob and Amber getting eliminated. Too epic. Tooooooo epic! TAR 12: Azaria and Hendekea's elimination leg. Even though we sort of knew they were behind the whole time, but the fact that they were such a strong team, and that the leg was divided into two parts - 1. Jennifer and Nathan VS Ron and Chris for first place and 2. Nic and Don VS Azaria and Hendekea for last place, along with coincidence in flight timings such that Azaria and Hendekea still got to meet Nic and Don in front of them doing tasks and trying to catch up was so exciting. TAR 16: NEL by Jet and Cord in Seychelles. That was drama to the finest for the entire leg, teams going back and forth and positions changing throughout. Honestly had no idea who was going to land on the mat last. TAR 17: Elimination Leg for Michael and Kevin. That leg was crazy, with penalties, changes in positions, Gary and Mallory coming from behind... interesting tasks, drama all the way till the end. TAR 19: Laurence and Zac elimination leg, Indonesia leg 2 (Kaylani and Lisa eliminated).. both legs had interesting tasks, changes in teams position and was unpredictable all the way till the end! I loved TAR10's Mongolia and Madagascar legs, the tasks were good and they were purely entertaining episodes. I detest the word epic and everything that it stands for, so I'll try not to use it in my epic description of my most epic legs. I absolutely loved the Dubrovnik leg in Season 12. Not necessarily for the tasks, which were pretty straightforward, but that city is just unlike any other in the world. I've also got a soft spot for Penang in Season 16 after I retraced that leg last year. I also loved the first Russian leg of Season 13, but more for the people. The soldiers laughing as Dandrew struggled with the boot camp and the Russian baker all in one leg? Perfect TV! The Season 5 El Nido leg was classic as well. The drama of that episode was unique! TAR19 : Indonesia,Malawi,Denmark,Belgium and Panama. I definitely have to agree with this! Dubrovnik- in my opinion - is just about the most beautiful place TAR has ever gone to. Such a phenomenal leg! A lot of other terrific legs mentioned here! Like most people said, there's really too many to mention! TAR16 Leg 6 (France) - Epic Leg. I agree, Dubrovnik is a gorgeous city. I always had an eye for that city. Shame though, the tasks were so dull. My favorite leg is the India leg in season 13. The roadblock, Holi festival, task was my absolute favorite. I'm dying to join that color throwing battle mania. Absolute brilliance, the Leg opened up on a beautiful sunny day in St Petersburg. Off to the Russian circus! Who doesn’t love a circus?! Circus Detour: balancing plates or learning a song on the accordion. What made it a great Detour is that neither option gave an advantage to any team. It was a picturesque, fun and tough Detour. Then teams are off on a Russian treasure hunt, which not only is physically tiring, but also allows the camera to show off the beautiful architecture of St Petersburg. The riddles in between make it even better. A Roadblock at the gorodki courts needed an amount of physical strength but was effective, and intense runs to the Pit Stop and penalties! Like wow, no episode will ever be as good as this. No equalizers, hooray! Instead the Leg starts with a historical re-enactment. I am a history geek, so I loved this Route Info! The race then heads to a simple Detour in a lush green rice field. Both required physical effort, and I LOVE physical challenges. And producers left the best until last – BOROBUDUR! What a magnificent temple, I am so glad the race made it there. So far throughout the Leg we’ve had lost cabbies, dodgy bicycle pedals and annoying sheep, but nothing caused as much trouble as the Roadblock. In the Race’s counting challenges, you expect teamwork, but the counting was specific and caused lots of entertainment. An intense race to the Pit Stop was exciting and I will never forget this episode. FINALLY the Race gets to Varanasi , which was spectacular and was well captured by the cameramen. What an AMAZING city! The Roadblock was amusing, but we also got to see the colorful and chaotic streets of Varanasi. One side of the Detour required physical effort, which wasn’t too bad, but the other option provided much more entertainment. The smell of cow manure was the main distraction and the grumpy Indian woman who was not satisfied by the standard of cow coal made by teams. The episode doesn’t get better after Vyxsin jumping in the Ganges – EPIC! And even though we had to say goodbye to Ron and Christina , it was still a great Leg. Firstly, NIGHT LEG! These are epic. Teams head off to a museum… and I was expecting an equalizer. BUT NO, we’re right off with a Roadblock! What seemed a simple task was distracted but hundreds of ringing telephones, LOVE IT. we get to the beautiful Charles Bridge, and a Detour with so much bickering potential. Basically we saw Prague at night. I don’t care, the Detour was highly entertaining, with lots of bickering, and the beer Detour – AWESOME. We had Ericka threatening to beat up the local Czechs that were getting in her way. TAR 11: Leg 4 where Romber and Charla & Mirna face to face at the Roadblock sorting the letters. The footrace to the pitstop was quite epic. TAR 12: I love Leg 3 in Burkina Faso. The milking camel Roadblock was hilarious. The Detour was also good since teams have to interact with the local students. TAR 14: Leg 1 where Margie & Luke won the first leg. And Leg 9 where Margie & Luke clashed with Kisha & Jen. TAR 15: Leg 7 in The Netherlands. The result is so unpredictable. TAR 16: Leg 7 in Seychelles. Seychelles is sooooo beautiful And Steve & Allie's victory was so unforgettable. TAR 17: Leg 3 in Ghana. Absolutely!!! I would love a Switchback to the champagne towers! One of the most epic tasks ever!!! That was a great leg!!! One of very few legs in India that I actually enjoyed! I loved the Roadblock and the Detour, and they were both so epic!!! But I didn't like the elimination! I love your whole list Theodorus, but especially the ones that I quoted here! TAR3 Leg 12 is amazing!!!!! IDK why, but I can't remember legs before TAR 14. Funny how the Singapore leg in TAR 16 remains to be the only one to feature a Roadblock, Detour, Fast Forward and U-TURN ever and the epic Carol and Brandy and Brent and Caite showdown but nobody remembers it. TAR 18-01 (Sydney, Australia) = out of the box clues. One of the hardest (actually, it is the hardest!) starting legs in the entire series. TAR 18-04 (Lijiang, China) = amazing display of Chinese landscape and culture. Not the best, but I really enjoyed the India leg in TAR13. The color splashing (Holi Festival) roadblock was really fun to watch. I would love to join in to those guys. That's actually a pretty good leg (and I'm going to watch it on Thursday ) and in terms of TAR16, I loved Legs 4, 6 and 7, but I hated the rest of the season, except for Leg 9, which was above average! The sad thing is most of these choices weren't even really close calls to make - I could have gone with Dhaka for Central Asia (although Azerbaijan will almost certainly beat both) and Manila for Eastern Asia, but the rest of them are pretty much set in stone. TAR 16: Leg 4 - I loved the whole leg! 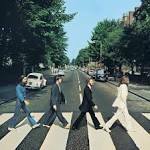 The fact that it was at night, had some cool challenges (including an intersection, soccer and an awesome eating challenge) and the beatles! TAR 16: Leg 5 - Although there weren't to many challenges, I still think it had the coolest TAR detour ever, both to do with the war. TAR 16: Leg 7 - The seychelles were picturesque, filled with drama and had some cool challenges. TAR 16: Leg 9 - Singapore! I love the city having visited it, and this leg was awesome. as mentioned above, the only leg with a ff, roadblock, detour and uturn! and the challenges were cool, the locations were sick and there was drama. TAR 17: Leg 4 - Snow! Some cool challenges aswell, and an unexpected elim. TAR 17: Leg 7 - What more can be said! The challenges, the penalties, the drama! TAR 18: Leg 1 - The awesome start challenge, the intense challenges, a visit to Australia!! Seeing some old favourites battle it out, some unexpected twists and such a high tempo start to an awesome season! TAR 18: Leg 4 - One of my favourite things in TAR history, riding those yaks across that awesome waterfall! And the roadblock atop the mountain was cool, as was the drama. The uturn in the second part, the second roadblock was cool and just the whole leg was perfect! 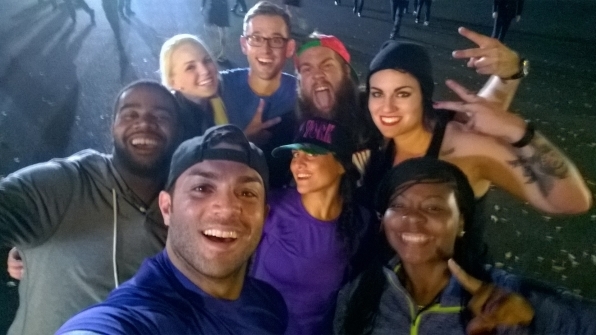 TAR 18: Leg 9 - My fave team eliminated But a leg with a part at night, cool locations, sick challenges! TAR 19: Leg 4 - The island hopping made great TV! TAR 20: Leg 5 - Snow! Cool challenges, a bit of drama, all in all a good watch and a well constructed leg. TAR 20: Leg 8 - Although the challenges weren't great, the drive through ngorogoro crater was amazing. A bit of drama in their with the u turns as well, and my team got the win! Ill post my favourites from earlier seasons later on! Race to the FF was great, loved the FF too. When we thought they were over - all the sudden Kelly & Jon showed up and then it was a race, most intense race on TAR in my opinion - between them and Millie & Chuck.. Loved, loved this leg. Best Japan leg until now. Loved the detour and roadblock, Hiroshima was also amazing. A truly classic episode - I can't even explain how amazing it was. Even though I'm a CC fan, I admit this episode would've been way better if Bowling Moms beat them at the Roadblock. Smart use of W Turn, loved the FF, very sad (and shocking) elimination of Abbie & Ryan. Key roadblock <3333 Rebecca all the sudden got the key near 7 pm when Hayden took the penalty, Hayden's breakdown 2nd best after Flo's in my opinion. Then suddenly Aaron proposed to Hayden on the pit stop when she had a massive meltdown that day. Hated the challenges but loved the FF. First intersection ever. Dustin & Kandice beating the FF was epic - and shocking. Phillippines on the list again. Chip & Kim's 'betrayal', CC meltdown, also - the most memorable quote ever on the race..... Do I even need to tell what quote it was? TAR 17 Bangladesh, TAR 18 Switzerland (both), and literally every leg on TAR 5. Well I've only seen seasons 5-18 and season 22 so this is my list of favourite legs! Greece was a terrible leg. It the most idiotic Detour of all time and the roadblock wasn't that flash either. it was raining and flo got mad. everybody was pretty much confused with what they're supposed to do in the roadblock. and surprisingly, it was an elimination leg. the first time i cried seeing this show, when mirna while holding charla's arm said " let's do this together, let's beat the liars"
the leg's not that hard, if there hadn't been nathan and jennifer running this leg, this leg wouldn't have made it on this list. they hated TK and Rachel so much on that leg. but eventually they got eliminated, but in the end, they realized their mistakes and hug each other in chiang kai shek memorial plaza. i was thinking which one is better, this leg or the penultimate leg ( moscow II), but i have to choose this one. the roadblock was very indian, detour was equally hard. there are no words that could describe how much i loved this leg. 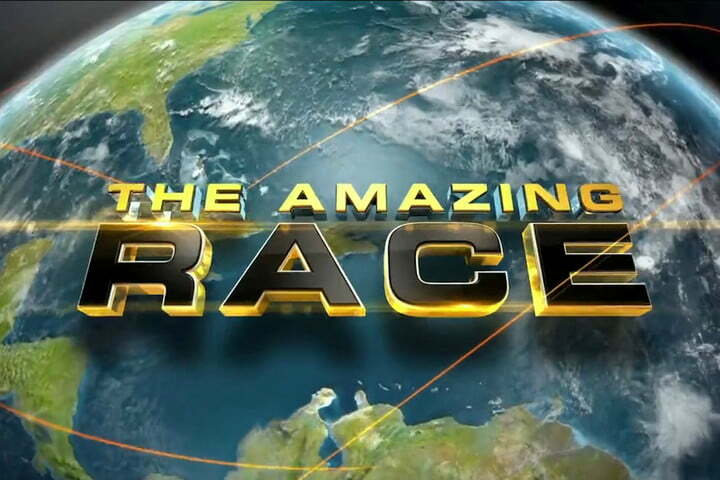 i have become a dedicated fan of amazing race after watching these two episodes. the detour, roadblock, the pitstop also was perfect. this IMO the best leg ever. continuing the ambiguous result of leg 7. detours are equal. and roadblock was hard and laughable. watching how teams directly add the time in moscow with the numbers in the timezone ( GMT ). and they just had no idea what they did wrong except for the smart gay goat farmers. it's a night leg , base jumping was clever. if this was an elimination leg, and there's a uturn here. this could've been much better. Loved the scorpion Roadblock which was memorable, the two Detours which tested skill and not luck... and an epic finish of 4 teams vying to avoid elimination! i actually participated in this on my college campus it is really fun..
My favorite Asia leg is actually the Indonesian Leg 3 from TAR 19. And so much more epic moments from an otherwise okay season. LOL, my point exactly. The entire season is a piece of garbage, I didn't enjoy any leg that god awful season. My favourite leg of all time from The Amazing Race is from Season 6... And can you guess what leg it is? The one and only penultimate leg in X'ian. Nothing does it better for than this, mainly because it features the visit to my favourite ever location - the Terra Cotta Warriors Museum, let alone the rest of X'ian like Mount Hua and the Pit Stop location which were stunning to a degree I've never seen before. We then have non-stop intensive drama by the teams, the Roadblock which proved to be the golden cup of the leg, followed by Hayden & Aaron receiving a four-hour penalty and getting eliminated. Despite the fact that I wanted them to win of the four remaining teams, the proposal was sweet and something I never forgot. I love this episode and the leg (definitely my fav from season 6), but I feel like a luck task right before the final elimination was kind of unfair. TAR 20, Leg 3 (Paraguay) - one of the best legs of the HD era. Challenging Detour and Roadblock. Nowadays TAR would make this a NEL because it was so hard... & don't forget the epic race to the Pit Stop. TAR 25, Leg 5 (Morocco) - a very full and memorable episode. A Route Info task, Roadblock, Speed Bump, Detour, and Double U-Turn! TAR 25, Leg 9 (Singapore) - another very full leg from TAR 25. A Fast Forward battle, Jim falling at the Roadblock, the painful Detour, Double U-Turn drama, and a Route Info task. I think this thread made me realize how important it is to have a good cast. I haven't seen some seasons in so long, I couldn't remember anything about episodes and Legs even if I read Wikipedia summaries. lol Also, there are well designed Legs that produce duds as episodes and poorly designed Legs that somehow make great TV. Both Vietnam Legs (Legs 11 & 12) - Obviously just epic and all-time classic episodes and Legs. Malaysia (Leg 9) - A simple, straightforward Leg that turned into a grueling, dramatic Race. Uruguay (Leg 1) - Now this is a season premiere. A great first Leg with solid tasks and tricky clues. Add in the teams all delivering, and you've got a great one. Argentina 1 (Leg 2) - Maybe since I recently just watched it again, it's fresh in my mind, but it was a hectic Leg with lots of drama and good competition. Again, the teams helped make the Leg much more than it was on paper. Ethiopia (Leg 8) - Great Leg with both physical tasks and some attention to detail and luck. Plus donkeys! India SuperLeg (Leg 8) - TAR7 is pretty low on my list. But Gretchen on the elephant is enough to make me choose it. Panama (Leg 5) and Costa Rica (Leg 6 and half of 7) are in a league of their own for this season, obviously. And I'm one of the very few who actually likes (loves?) the season. New Jersey/Pennsylvania (Leg 1) - Mama Weaver almost getting killed by a buggy and the little kid of the Black Family getting stuck in a ditch is epic stuff. But most of all, the Finale SuperLeg was pretty excellent. Oman (Leg 7) - Great Leg, horrible result. Still the most grueling and physically challenging season ever. Madagascar (Leg 8) - Mainly for the excellently edited sequence featuring the Intersection. 2 teams at the Fast Forward while the other four doing the mattress Detour. It was pure insanity and amazing. Those 5 minutes are more exciting many entire episodes in the HD Era. Not really sure, even though I love the season. Hong Kong (Leg 10) - Very cool, unique tasks. Brazil 1 (Leg 1) - Also recently watched and it was another great premiere. Very full opening Leg. China SuperLeg (Leg 10) - Basically two Legs of great tasks. Ghana 1 (Leg 2) - Perfect kind of Leg for the early part of the Race with 10 teams. Russia 1 (Leg 6) - Really one of the best Russia Legs of any TAR. Just great tasks on a well-designed Leg with teams delivering. Paraguay (Leg 3) - Challenging, unique tasks on a perfect early Race Leg. Would not work later with less teams. Norway (Leg 4) - Love the Midnight Sun Leg. Sri Lanka 1 and 2 (Legs 5 and 6) - On this otherwise garbage season, I think both Legs were pretty good. The Detour of Leg 5 was great. And the gasoline Road Block of Leg 6 is a perfect example of how to design Legs to allow for as many teams as possible at a task for maximum chaos. Morocco 1 (Leg 5) - No question. Robbed of the Emmy, it is simply one of the best Legs of the HD Era. Philippines 2 (Leg 11) - A little biased of a choice lol, but it was a great urban Leg. Peru 1 (Leg 10) - A great, physical Leg that would've really been outstanding with a few more teams. India 2 (Leg 10) - Love the night Leg. Only a Road Block and Detour, but still a full, challenging Leg. Indonesia 1 and 2 (Legs 9 and 10) - Best, most full Legs of the season. But maybe pales in comparison to other seasons. Vietnam 2 (Leg 10) - Absolutely the best Leg since TAR25's Morocco Leg. Again, might have been even more amazing earlier in the Race. TAR 30, Leg 11 (Hong Kong) - teams are neck-and-neck the entire time; features interesting/creative enough Detour, Roadblock, and ARI all in one. TAR 30, Leg 12 (U.S.) - I've said this on numerous threads but I really appreciate how this is, like, the most nonlinear finale in recent memory. Every team was on top of each other the entire time and no one lagged behind. Would the TAR30 finale be the best finale leg ever??? With so many seasons, it's really nearly impossible to adequately rate something like that, but I would definitely say it's in the top 3, at least (with no particular finales in mind). Leg 3 in TAR 30 WAS PRETTY !!! The detour was actually pretty easy and unbalanced, but the roadblock was flippin' amazing ! It definitely made me consider going to Tangiers for a vacation. Those hills and slopes, and the midday heat, it really knocks the wind out of you, and it's not like you can work with other people, that roadblock was IMO the best of the season.